The Very Best 3D CAD Rental Offer!! Check our our latest ZW3D Tutorial! ZW3D - Designing with Shapes! ZW3D Rental Starts at $600 Annually! starting at $350.00 to fill those temporary needs. ZW3D is a professional 3D CAD engineering package and it is not recommended for those who are not engineering professionals or students with no prior 3D CAD experience. While we will help you get started we are not equipped at this rental price to teach you 3D CAD from scratch or engineering design. Don't let this low price fool you. We do have training and support available for an additional cost. Compare ZW3D to other products! Ready to start your own consulting business? ZW3D offers a professional level of 3D CAD at a price even a wife could support. If you are an Autodesk or PTC user and are not happy with the subscription only this is a chance to slowly move to a new more productive system. Start Up? Buy one perpetual (To always have access to your IP) and what ever amount of rentals necessary to get the job done at hundreds not thousands. ZW3D even offers 6 month rentals for to fill your short time needs. "We spoke a year and a half or so ago about ZW3D. I took the Autodesk Fusion 360 but am becoming increasingly unhappy with it… It’s not very productive for me, just too slow and cumbersome to get things done quickly. Fusion 360 is “free” but not really free… I am finding that the slow, clumsy pace of design with it is counterproductive… time is money." The initial hull design was done in Rhino, which for some reason is a standard in the boat industry. The surface already had a few problems! It was imported into Fusion 360 and I did some of the early concept design work, but when it came to surfacing I hit road blocks every way I tried it. At this time Phil was not part of the project, but I suggested to my client that we needed Phil's help. Phil also hit road blocks in Fusion 360 even using some of his unique re-topologizing workflows and T-Splines. The rest is history, as they say. Thanks to ZW3D paired with Phil’s surfacing skills we now have tooling for the hull created. You should see the images. Perfectly smooth reflections! Here are some exercise that show the comparison with Solidworks and Fusion 360. It started as a comparison of products but soon turned into a study in 3D modeling techniques. 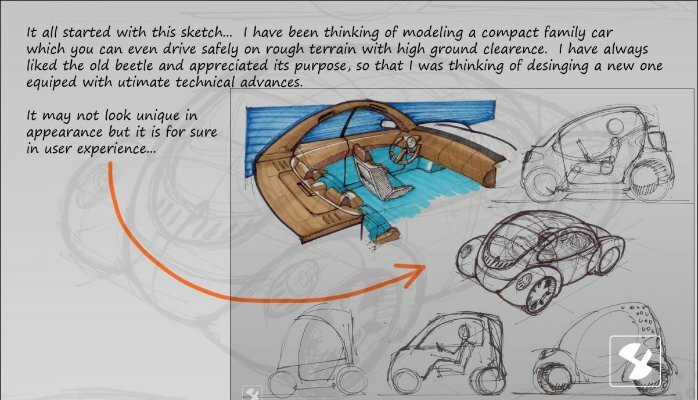 This is where I introduce Streamlined Sketching and Feature Based Modeling. This is one of the more blatant examples of feature based modeling as compare to extensive sketching. The drawing is integrated in the same part or assembly file. Includes PMI import for Solidworks, Creo, NX and Catia. This is just a small list of the flexible functionality offered by ZW3D. ZW3D's only comparable CAD system is NX, at thousand less and much more friendly design environment. ZW3D goes far beyond CAD by offering one of the industries few truly integrated CAD/CAM system. Please take a look at the mold design and CNC options. ZW3D - The Case for Inexpensive CAD/CAM! These offers are only good in the USA and Canada! Please feel free to call for more information or put in your order. For 2 times the price to rent Inventor for a month you get a full year of use of our ZW3D Lite Package. Buy Here - ZW3D Lite $600.00 Full Annual Subscription! For 3 times the price to rent Inventor for a month you can have the very best 3D Hybrid modeler for a year. No, you don't have to pay a rental forever like Autodesk. Take some time and give it a try! 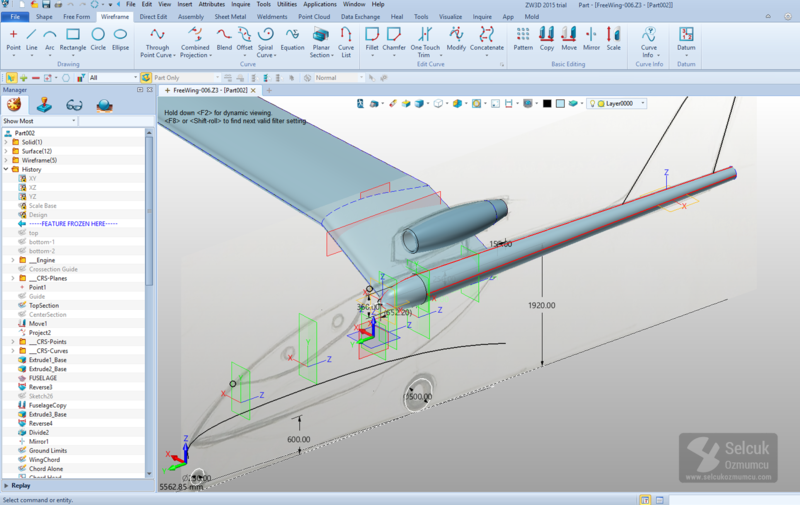 We import native Solidworks, NX, Creo (Pro/e), Solid Edge and Inventor. We Import/Export Catia 4/5 and all of the neutral formats. We include PMI with NX, Catia 5, Solidworks and Creo. You can bring complete assemblies into one file. Here are some great examples of ZW3D in action! 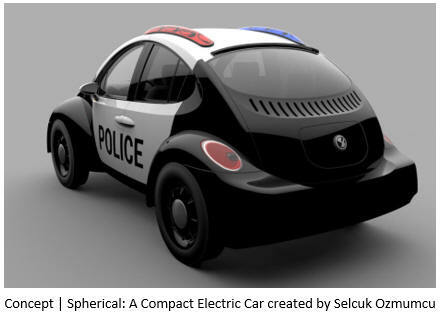 Selcuk Ozmumcu is an incredibly creative industrial designer and is the most proficient and prolific 3D CAD modeling I have ever met. He is a professional Alias, Catia and Solidworks user and has now moved to ZW3D, fully utilizing the Hybrid Modeling including Wire Frame, Surfacing and Solids. Here is his latest creation! He shows the design process here! Here is more of Selcuk's work. Greatest Presentation of Hybrid 3D CAD Modeling, Ever!! These were done in ZW3D and rendered with KeyShot which is a ZW3D option. As you can see the professional performance of ZW3D cannot be denied no matter what the cost. Please feel free to stop by our website below for a variety of articles on the State of our Industry, Interesting Articles on 3D CAD Productivity and a Few of Our Projects! We sell and support IronCAD and ZW3D Products and provide engineering services throughout the USA and Canada! If you are interested in enhancing your conceptual design process, adding professional hybrid modeling capabilities or looking for a new solution to increase your productivity, feel free to give me a call to answer any questions, just to chat or have an on-line presentation of our products.